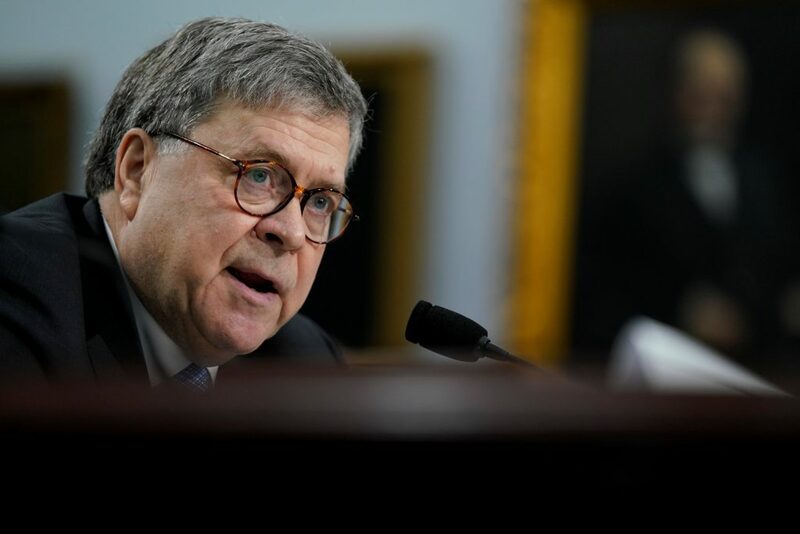 Barr told members of Congress at his first public appearance since receiving special counsel Robert Mueller’s report that his earlier projection of releasing a version by mid-April still stood. The report, which is nearly 400 pages long, is being scoured now to remove grand jury information and details that relate to pending investigations. Barr was summoned to Congress to talk about his department’s budget request, but lawmakers still asked about the Mueller report as they waited to see it. Barr’s prepared remarks, sent to the committee on Monday, focused on funding requests for immigration enforcement and the fights against violent crime and opioid addiction, not mentioning the special counsel’s report at all. The new attorney general’s budget testimony — traditionally a dry affair, and often addressing the parochial concerns of lawmakers — came as Democrats were enraged that he was redacting material from the report and frustrated that his summary framed a narrative about Trump before they were able to see the full version. The Democrats are demanding that they see the full report and all its underlying evidence, though Trump and his Republican allies are pushing back.